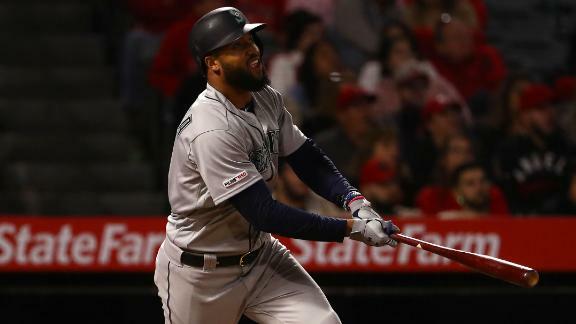 Mitch Haniger, Daniel Vogelbach, Edwin Encarnacion, and Domingo Santana all contribute home runs in the Mariners' 6-5 win over the Angels. 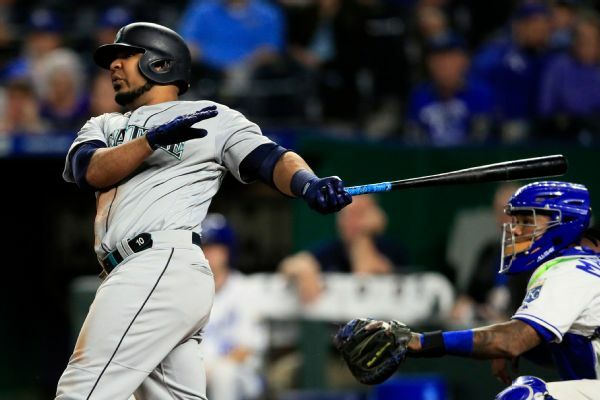 Mariners slugger Edwin Encarnacion homered twice in the sixth inning against the Royals on Monday night, becoming the fifth player to do it twice in a career. Which of the decade's brightest stars will be remembered for outshining all rivals at the plate, on the mound or in the field? 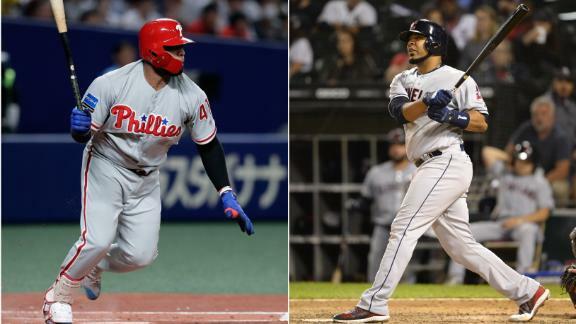 Pedro Gomez breaks down what motivated the 3-team trade involving Edwin Encarnacion and Carlos Santana between the Mariners, Indians and Rays. 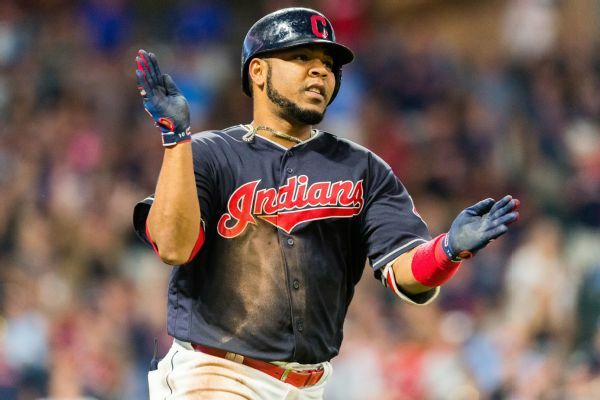 The three-way deal with the Mariners and Rays reunited Carlos Santana and the Tribe, but will Edwin Encarnacion stay in Seattle? 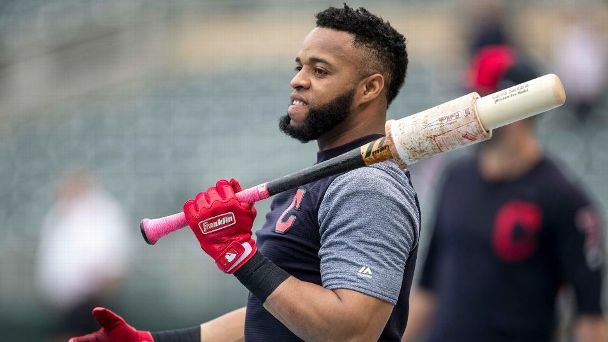 The Indians have reacquired slugger Carlos Santana in a three-team deal with the Mariners and Rays that sends Edwin Encarnacion to Seattle and Yandy Diaz to Tampa Bay. 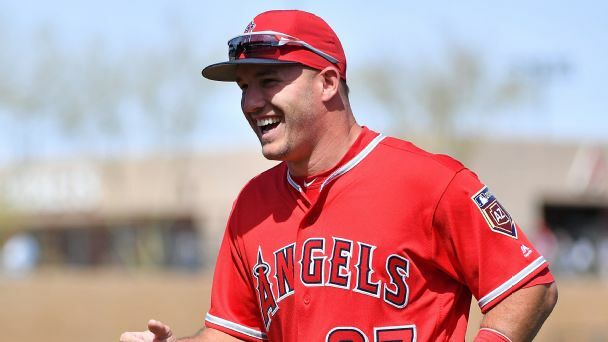 Why would a team considered the prohibitive favorite in its division want to deal one of its top-flight starters? The Indians' strategy is about winning now -- and in the future. Tigers pitcher Michael Fulmer was struck by a ball traveling 115.6 mph on Sept. 3. Here's what that play and others tell us about human perception. 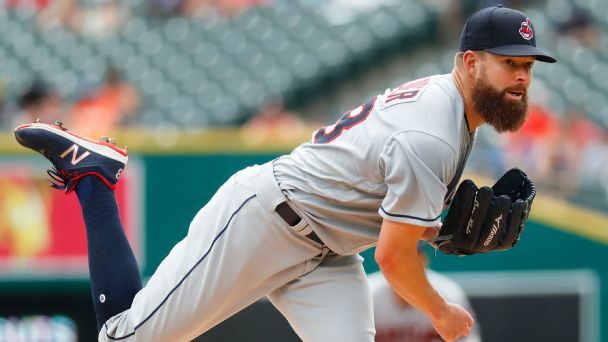 The Indians will listen to trade offers for some of their veteran players this winter as they face the sort of difficult choices that small-market teams must address, according to sources. 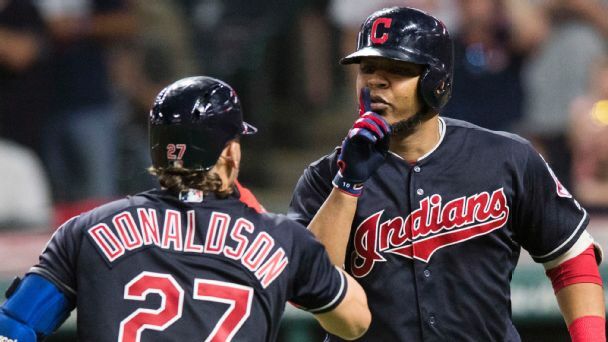 Reunited in Cleveland, the pair would like nothing more than to go further in the playoffs with the Indians than they did with the Blue Jays.